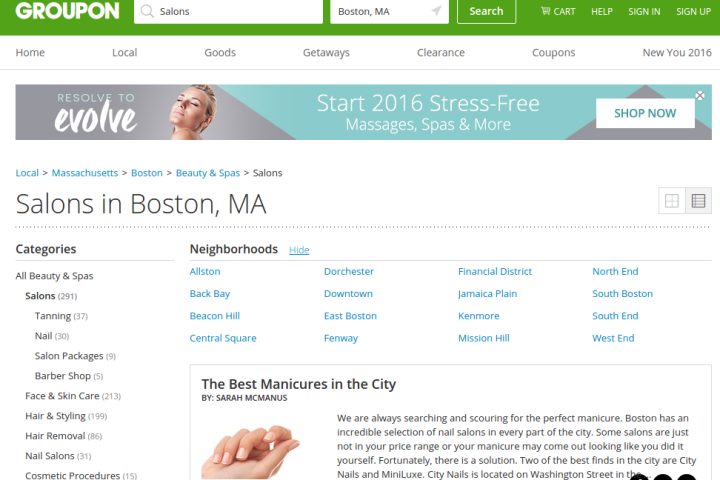 Groupon’s deal-a-day discount voucher business model has faded over the years, and the site that once raked in close to a billion dollars in funding isn’t nearly as popular as it once was. Faced with that challenge, Groupon has morphed into a kind of Yelp 2.0 with a new focus on providing business listings. What’s really great though is that Groupon is still offering its cost saving vouchers alongside its comprehensive listings. Which means that consumers like you can save some cash while you search for whatever it is you’re looking for on the site. 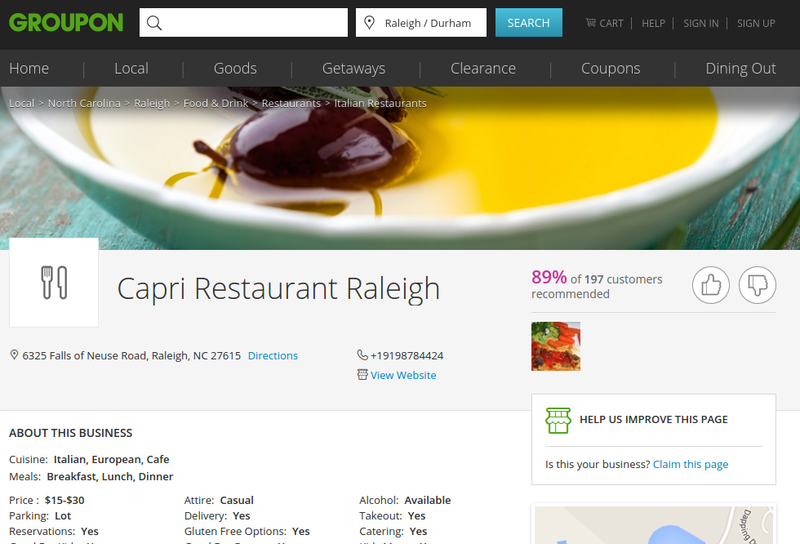 Check out this Capri Restaurant Raleigh listing for an example of what we mean.